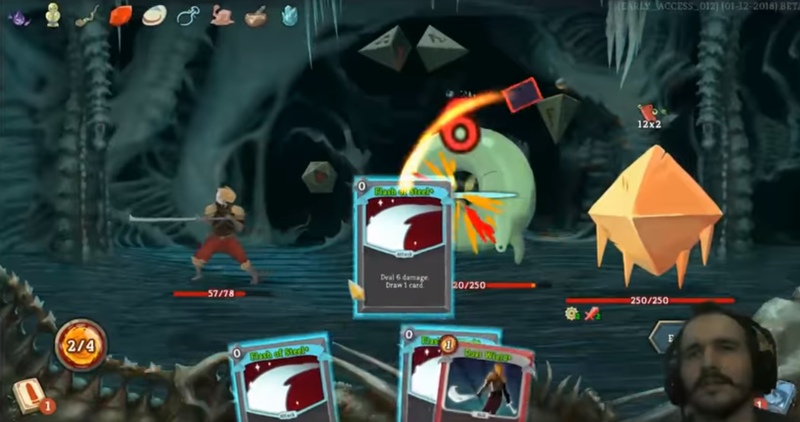 Slay The Spire is one of Steam’s latest Early Access gems thanks to its polished combination of roguelike dungeon crawling and traditional card game mechanics. The game’s quite challenging at first, but some players have already been discovering special combos that allow them to rip through the game with ease. The first is zero-cost, deals six damage, and allows you to draw another card. The second makes copies of the other cards in your hand. From there RiskyCB is able to get into an infinite combo where he just cycles through Flash of Steel endlessly until whatever he’s fighting is dead. The combo is broken, clearly, but requires so much effort and luck to arrive there (stripping your deck down to just two cards is incredibly difficult). Since the game’s still in Early Access it’ll be up to the developers how they decide to balance strategies like this, but since it’s a single-player RPG it’s fun to see all of the unique ways players find to break the game and completely overpower its bosses. I’ve been playing a lot of Slay The Spire and can’t recommend it enough.